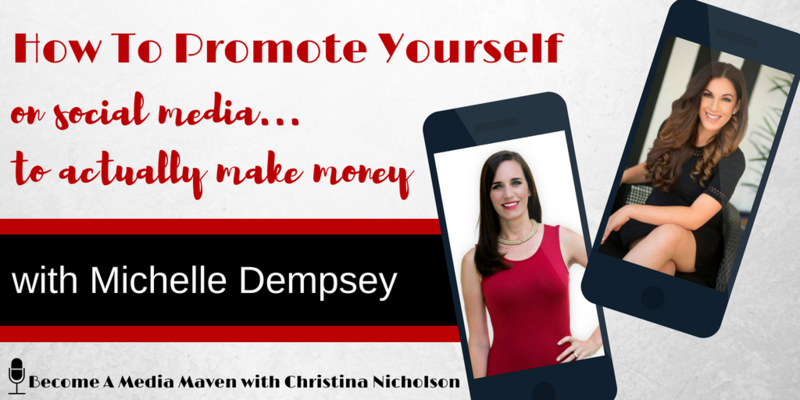 In this episode of Become a Media Maven®, I speak with Michelle Dempsey. Michelle is a dear friend of mine and fellow mompreneur who hustles hard… and her hustle translates into dollars. I call Michelle the queen of self-promotion. She began her career as a teacher, then she started writing for various publications and fell in love with creating content. She was doing it and promoting it so well for herself, that soon to be clients started contacting her. That’s how she started her business, Very Well Written. In the sixth episode of Become a Media Maven®, Michelle talks about how many times her content was rejected and what she did with those rejections to turn it into dollars. Michelle is also sharing her networking secrets – a form of lead generation many people hate doing, but she has learned to love it and see an ROI from all of those local networking events. I call Michelle Dempsey the queen of self-promotion and when I started my podcast, I knew I was going to have Michelle on. I met Michelle right after she decided to start her own business. She was just leaving teaching because she was just desperately wanting to be home with her eight month old who she had put in daycare. That’s when Michelle started freelancing. She had already developed a mommy blog, was writing for Huff Post, Scary Mommy, Mind Body Green, and a bunch of other publications that really put her on the map as a writer. Her friends and friends of family with businesses started asking for help with written tasks such as new website content or adding a blog to their website. So right around the time when we first met, she had just secured her first paying client to write a blog. I feel like so many people want to write for those big, impressive publications like Michelle, so I asked her how she got into that and how she started writing for those bigger outlets in addition to your own? Scary Mommy rejected her about 19 times before they published one of her posts and when they did publish it, it was their main posts of the day. When you went to their website, they got so much engagement in responses, backlash, and all. There are so many places to get your content seen these days. You just have to do the work and really look into where you want your content to be featured… and just keep trying. There are people behind these publications that actually do sit and read these articles. They are making money off of us giving them content for free. And so it’s really to your benefit to at least try and not give up. Michelle reminded me it’s not for nothing. If nobody’s picking it up, you put it on your own website and you link people back to there. At least it’s giving you do website traffic. It’s not for nothing and if it can be on your website and nobody else’s and there are links back to it. It’s out there. It’s in cyberspace. It will get shared eventually by somebody. That leads to why Michelle is the queen of self-promotion because if you throw enough sh*t at the wall, it’s going to stick. You have to be willing to try. Nobody got famous by going to one audition and being denied a role in saying, “Okay, well forget it.” They just kept trying. Michelle and I have both discussed this offline because we both have agencies with have team members and when it comes to growing a team, it is so hard to find people who are dedicated and have a good work ethic and that’s why I wanted to ask her about people saying, “Oh, but what if we’re writing for nothing? Then we’re working for nothing.” I feel like that’s so many people’s mindset today. I think it’s the hardest part of building a business, especially if you have an agency model like Michelle and I do. But back to putting yourself out there, Michelle started getting some stuff published and then she promoted what was being published. She didn’t just rely on Scary Mommy to share it with their audience. She told your audience, “Look at me, I’m in Scary Mommy,” and she did it over and over and over again. Michelle can take credit for helping them and now they are some of the biggest Scary Mommy writers. She kept going with it until it stuck… until people were calling to hire her. Apart from that, she was going to networking events – with no business model and only a website, She had Microsoft word and was like, “Okay, I can write for your business” and was meeting business owners and selling them on the benefits of blogging, because at that point, we knew it was essential for SEO and Google rankings, She started landing clients (and pretty big ones). 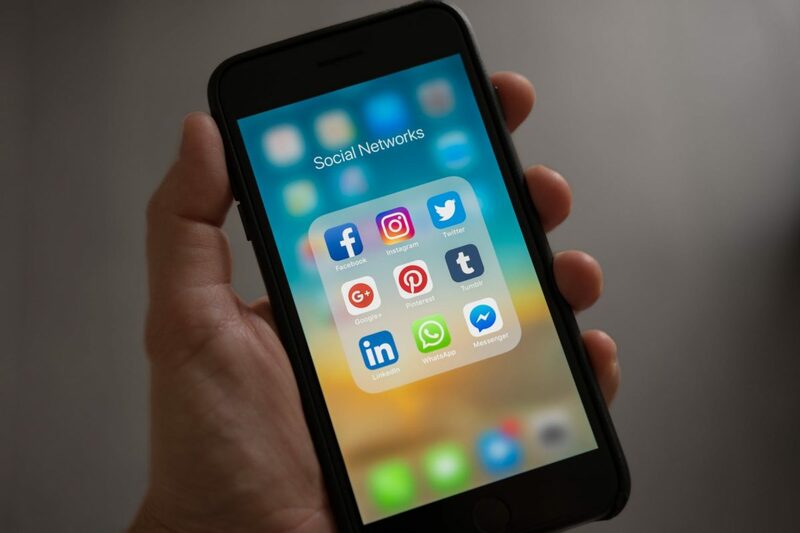 Now, her business Very Well Written has been able to grow from just blogging to actual content marketing with strategy and social media and brand development. It’s amazing to see how she’s evolved just in learning about what the need is and being committed to learning and growing – consistent self promotion on every level. I hate networking, so I don’t do it much. I put myself out there enough online that I don’t need to do it, but networking is a huge lead generator and I feel like people who don’t like it, like me, are either lazy or they just don’t do it right. Michelle it right. So, I asked Michelle to tell us a couple of stories on how she went to a networking event, what she did, what she said, and how it turned into dollars. Taking the pressure off of making somebody hire me really helped. We all hate when we’re at a networking event and the next day we get an email and are already subscribed to somebody’s email list about why we need to buy their health insurance that we don’t like. Michelle has had more coffee dates with people who didn’t hire her, but she gave them tips. When they had a friend who was able to hire her, they shared her name. If you put yourself out there enough and help enough people, your name will eventually end up on somebody’s list who wants to pay you and that’s how it’s happened for me. Michelle started noticing that she would go to events and there would be speakers who really had nothing worthwhile to share. Most don’t just go to some bad salmon. They get some tips. So, Michelle started hitting up the heads of all these networking groups in her area and offering to speak. Michelle was going there to tell the world, “Hey, I’m a subject matter expert.” That’s why I’m speaking – to make further connections with the people in this group to have this group. Then follow up with me and asked me questions about my speech and to be able to promote on social media that I’m a speaker now. It’s another reason for you to hire me because I know what I’m doing. So much of what we hear from women is – Can I really say that? I don’t want to bother anyone? Who actually cares who you’re bothering! This is your path. If that person is bothered, it’s because there’s something within them that you know it’s not your job to fix or deal with. You can’t control how people feel. Trying to worry about how people feel will sink you into the ground very fast because it’s consuming and it’s useless. It’s like worrying about what’s going to happen tomorrow. You don’t know. You can’t change it. You also can’t change how people feel ever. Now, let’s talk about wasting time. I get numerous emails, numerous messages on Instagram, Twitter, and Facebook. People want to work with me, and I did waste a lot of my time – not necessarily on people who didn’t want to spend money with me, but people who just had no clue. I would talk to anybody and everybody who wanted to talk to me – even building them proposals if they wanted one. At the end of the day, I was not doing a good job qualifying these people. These were people who had no idea what my industry was like. They also were not at a stage in their business where they had money to spend or they were not committed enough in growing their business to want to spend money or they didn’t want to do the work they would have to do after hiring someone like me as a mentor. So, I was wasting my time getting on the phone with anybody and everybody who sent me a message. Now, I’ll tell you what I do now so I don’t waste my time on the tire kickers. But what does Michelle do to filter leads to ensure she’s not talking to people all day every day? 1.) what kind of business do you have? 2.) Where are you with marketing your business? 3.) Have you thought about hiring somebody yet? If right away they’re like, well, I’m not, I don’t really have the budget to hire anyone. Then I’ll say, “Why don’t you join my Facebook group? I have started my own Facebook group for Solopreneurs. I was getting to the point where I was upset that I was wasting people’s time by talking to them about working together when really they had no intention of working with me. It was a waste of my time and a waste of their time. I now have a Google Doc that I have people fill out and you have to tell me where you’re at in your business along with what you’re ready and willing to do. If you do not fill this Google Doc out, I will not get on a call with you because I cannot spend all day, everyday talking to people who are not interested. That takes almost more effort if not more than actually doing the physical work because when you’re doing the physical work, you worried about one thing at a time when you’re working on your business, you’re worried about the entire thing all the time. So, it’s a lot. I told Michelle I said that to her because I knew she was at the point where she shouldn’t be in it. She has a team. I also want to talk about one other thing that Michelle mentioned and it was “picking my brain”. Now looking back, I am so embarrassed that when I started my business, I would ask people if I could pick their brain. It was so rude and stupid of me to do. It doesn’t work that way and that’s why Michelle is glad that I said you now charge for that, She started charging for that probably about a year and a half ago. To sit down with somebody for an hour and spill the beans?I I’ve been played that way before, Michelle said. People do business with people and you can have five people who do the exact same thing, but they do it all a little differently and at the end of the day you’re going to do business with that person who resonates with you more.